Safford Chrysler Jeep Dodge of Fredericksburg VA | Virginia car shoppers can visit our Chrysler Jeep Dodge dealership in Fredericksburg to learn more. Virginia car shoppers can visit our Chrysler Jeep Dodge dealership in Fredericksburg to learn more. The 2014 Jeep Grand Cherokee EcoDiesel joins the Jeep Grand Cherokee family setting extraordinary standards for performance, luxury and attention to detail. What makes our ‘new-kid-on-the-block’ so special?…..a 3.0L EcoDiesel V6 Engine. The new 3.0L EcoDiesel V6 engine delivers clean-diesel technology with low CO2 emissions. The clean and refined powertrain delivers optimum Best-in-Class fuel economy with awe-inspiring performance. Combined with the advanced eight-speed automatic transmission, the 2014 Jeep Grand Cherokee EcoDiesel can attain up to 30 hwy mpg, drive up to a Best-in-Class 730 miles on one tank and tow up to a Best-in-Class 7,400 pounds to fulfill whatever your nomadic heart desires. 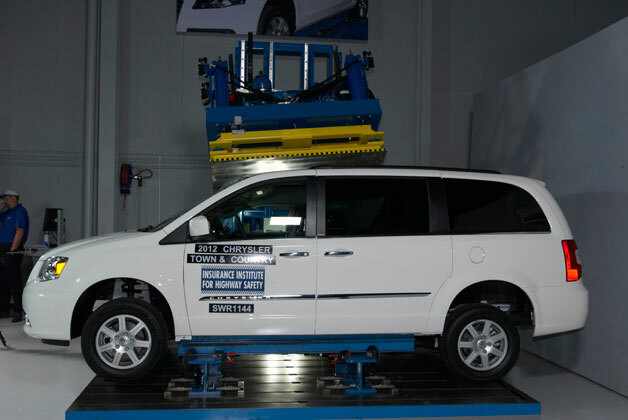 THE WAY MINIVANS ARE TESTED DOESN’T RESEMBLE REAL LIFE. Car road tests and reviews don’t always focus on the things that real moms with real families care about when they research a minivan. Which is why we think it’s just as important to listen to what real owners have to say. From Stow ‘n Go seating to the built–in flashlight….these are the features that you might not realize you needed, until you need them. Stow ‘N Go Seating – this revolutionary feature has been saving parents and their children a lot of time and space since its launch. The second- and third-row seats can be stowed individually and stored in flat floor bins to make room for as many as seven passengers or as few as two. That convenience and customizability makes driving with a large family or ample amounts of cargo much more effortless. Built-ins – the 2014 Chrysler Town and Country is equipped with built-in grocery bag hooks, an umbrella holder, and a flashlight space. These are some of the most frequent items needed in a family car, so the van takes it upon itself to accommodate the driver and his or her entire family. Standard leather and DVD system – these features have the capacity to entertain both the kids and adults traveling in the Town and Country. A little luxury can distract from the cereal-covered floors and toy-packed backseat pockets. SafetyTec Package – this available package includes innovative features like Blind Spot Monitoring, multistage front airbags, and the ParkView Rear Back Up Camera. Added safety gives everyone in the Town and Country peace of mind on the road. The Town & Country has had more repeat buyers than any other minivan for the last 12 years running. So while you can learn a lot about a minivan from minivan road tests and reviews, we think another test is just as important to think about when buying a minivan – The Test of Ownership. Consider it. You’ll be glad you did. When the Dodge Caravan was introduced, it wasn’t just a new vehicle. It was a whole new kind of vehicle. Starting with the popular K-car sedan platform, with its rugged 2.2-liter engine and front-wheel drive, designers threw away the styling rulebook and expanded the body’s dimensions right out to the boundaries of the vehicle’s footprint. The result was essentially a big, roomy box on wheels, utilizing maximum form efficiency—small on the outside, huge on the inside. The microprocessor-based Rain Sensor Module (RSM) senses moisture in the wipe pattern on the outside of the windshield glass and sends wipe commands to the Body Control Module (BCM). Four InfraRed (IR) diodes within the RSM generate IR light beams that are aimed by four of the convex optical lenses near the base of the module through the windshield glass. Four additional convex optical lenses near the top of the RSM are focused on the IR light beams on the outside of the windshield glass and allow the two photocells within the module to sense changes in the intensity of these IR light beams. When sufficient moisture accumulates within the wipe pattern of the windshield glass, the RSM detects a change in the monitored IR light beam intensity. The internal programming of the RSM then sends the appropriate electronic wipe command messages to the BCM over the Programmable Communications Interface (PCI) data bus. The BCM responds by activating or deactivating the front wiper system. so what are you waiting for? join us! !